When Apple launched its smart loudspeaker to the market in January , it accessed a world ruled by Amazon and Google that offered diverse alternatives in a wide range of prices. 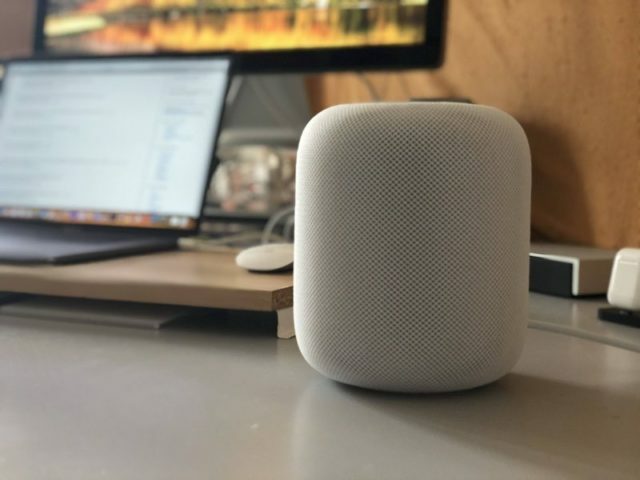 Apple arrived late, but we all know the fame of the bitten apple and the quality of its products, so it did not surprise anyone that the quality of the HomePod sound was superior . 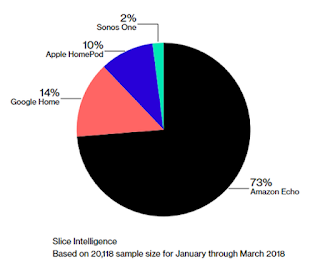 Yes, the HomePod could be heard better, but it was not enough to justify the $ 349 of its price , especially considering that Siri is far behind Google Asssisant and Alexa or that it is not even compatible with the streaming music service. excellence, Spotify. Time seems to have confirmed the worst omens , according to Bloomberg . Even when people had the opportunity to hear these things live ... even this was not enough to convince them. Gene Munster of Loup Ventures believes that Apple will sell at least 7 million HomePod this year and reach 11 million in 2019 . Quite lazy compared to the 29 million Echo that Amazon will sell this year and 39 of 2019. Alphabet meanwhile, believes that Google Home will reach 18 million units sold in 2018, reaching 32 million next year. Apple had its main asset in the strength of the Apple ecosystem , but despite the quality of its audio, consumers believe that it depends too much on the iPhone and that as a digital assistant it is very limited. Again, Siri in the disparadero . And, coming out much later than the gadgets of Amazon and Google, it was thought that at least he would be able to solve the same questions. But no: Apple does not have a domotic ecosystem as broad as Google and Amazon in terms of compatible gadgets and apps, so it is practically limited to little more than playing music from Apple Music costing $ 200 more. Too much money for an accessory . Nor can we forget that it is not even possible to pair two HomePod until the launch of AirPlay 2, which again has been delayed until iOS 11.4 at least. For more inri, some users have reported that it even leaves stains on the wood . Apple would do well to take note of this situation and be clear that you have to be optimistic because the HomePod can only improve , as it did with the Apple Watch, something that has currently consolidated it as the reference wearable years later. Perhaps you are in the middle of the learning curve of smart speakers, but better late than never. Apple has built a robust and attractive ecosystem that will continue to grow in the musical field . Apple Music already has more than 40 million subscribers and this year a second generation of AirPods will be launched. As for HomePod, once solved those problems from their delays in the field of iOS, it is time to rethink their software making it more flexible. Apple's commitment to Apple Music is tough, but perhaps you should reconsider opening the doors to Spotify . Siri will be a key element in the success of the company in the next few years , although Artificial Intelligence is increasingly present in technology and in our lives. With the hiring of the head of Google AI , we will probably see results soon. Another strategy that could work well is to diversify the market, paying attention to the rumors that point to the launch of a low cost HomePod , which will allow them to open their public and reach more people as a device to enter the sector . Apple has to act fast and well, because Google and Amazon are not going to let their market advantage escape so easily.